Americans love to spend. But do you know how much is spent every second, minute and by the hour? Checkout this website retale that shows you retail in real time. Below is a snapshot from my time on the website and I am totally AMAZEDD!!!! In 59 seconds more than half a million is spent on retail online (can it all go through my frequent flyer account for just the next hour) There are many more interesting figures and facts (4366 Donuts sold just via Dunkin) that you can explore by visiting the Retale website here. Today online shopping is getting more and more popular and to catch up with the demand companies like Amazon have introduced Amazon Prime Air were goods will be delivered to you in less than 30 minutes using drones. So you are thinking what has that to do with me? In the last year simply by shopping online I generated more than 30,000 miles (enough for a roundtrip ticket) and points just by changing the way I shop. That does not include several hundred dollars I made in cash back bonuses by doing that I was already doing . i.e. shop online!! in my perspective earning miles and points shopping online is missing easy opportunities and leaving lot of easy miles and points on the table. How to start earning miles shopping online? 1. EVREWARDS – This is probably my go to site for most purchases to compare rewards but the information is not always updated. 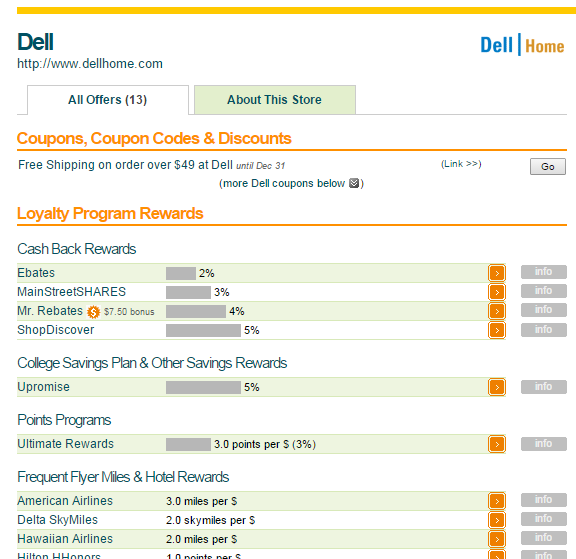 For example, I put Dell in the search Engine and the results are show below So Discover shopping portal may be your best option as it offers you 5% cashback. 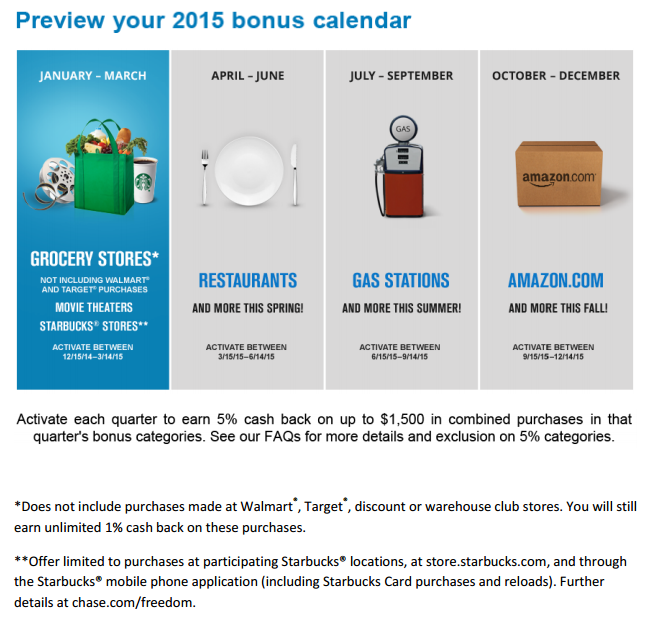 For those who do not have a Discover credit card but have one of the Chase cards such as Freedom, Ink Business or Sapphire prefered can use the Ultimate rewards portal and earn 3 points a dollar which is not a bad deal. Ultimate rewards points are great and extremely valuable as you can easily transfer them to more than a dozen airline and hotel partners. 2. 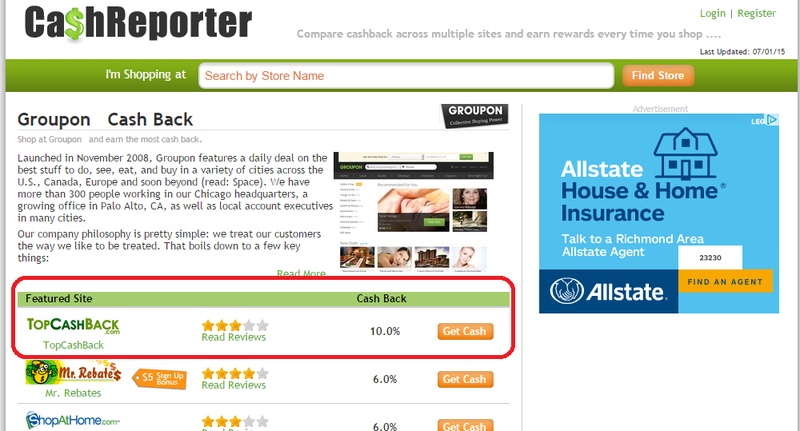 CashReporter is another website that compares cashback you can earn from different websites shopping online. It does not show information for airline and hotel partners. For example I like shopping at Groupon but wouldn’t that be cool you could earn cashback on every Groupon purchase you did – how does 10% cash back sound? Topcashback is the best of the lot when it comes to cashback from Groupon. If you do not have a Topcashback account you may use my affiliate link to join here. 3. Webflyer will let you compare primarily air miles you earn via shopping online. This may be the best portal for folks who just care for earning air miles and are not into cashback. 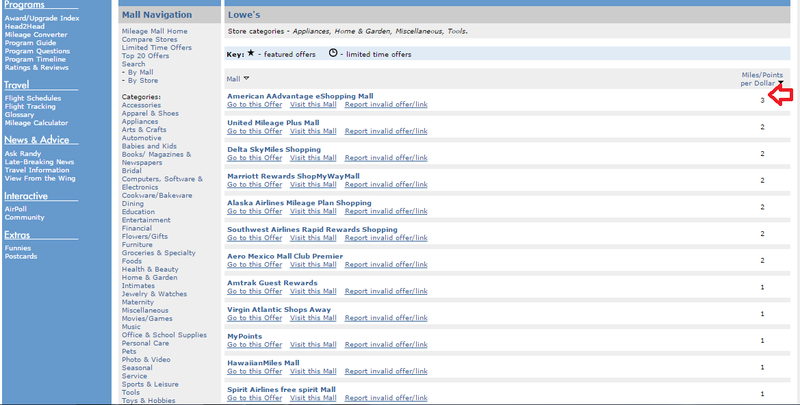 I searched for Lowe’s in this portal American Airlines AAdvantage shopping portal beats the rest as it has 3 miles per $ spent. So if you purchased a $250 lawn mower from Lowe’s shopping online you could earn 750 AAdvantage miles on top of what the credit card already offers. Isn’t that easy? 4. 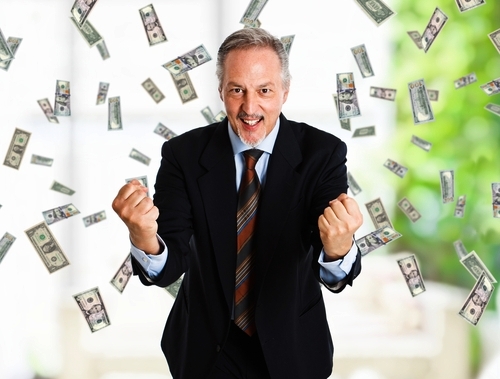 Cashback Monitor will let you compare 42 reward sites to maximize your earnings. Lets search for Macy’s using this portal This website makes it really easy to categorize as the best offers shows up on top whether being cashback bonus or air miles. You will earn 10% cashback shopping via Discover and 10 miles per $ shopping through Alaska Airline Shopping portal. A purchase of $100 from Macy’s will earn you 1000 Alaska Airline miles or $10 cashback from Discover – choice is yours!!! 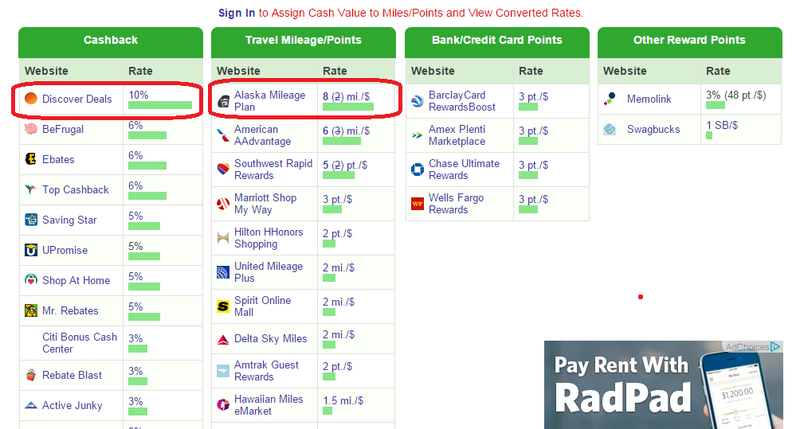 As you can see earning miles, points and cashback is very easy using online portals. 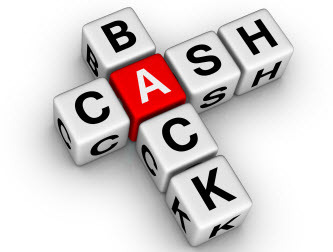 To maximize your earning you should compare cashback, miles and points from each portal to maximize your returns. $25 BONUS* After you add your first authorized user and make a purchase within your first 3 months from account opening. Cardmembers earn 5% cash back on up to $1,500 in combined purchases at Amazon.com, Zappos.com, and Select Department Stores. October to December. And unlimited 1% cash back on all other purchases. 1. If you applied for the card within the last 90 days with the $100 bonus, you can call or secure message chase and have them honor this current deal. 2. This is the VISA version. I believe they are moving away from Mastercards. 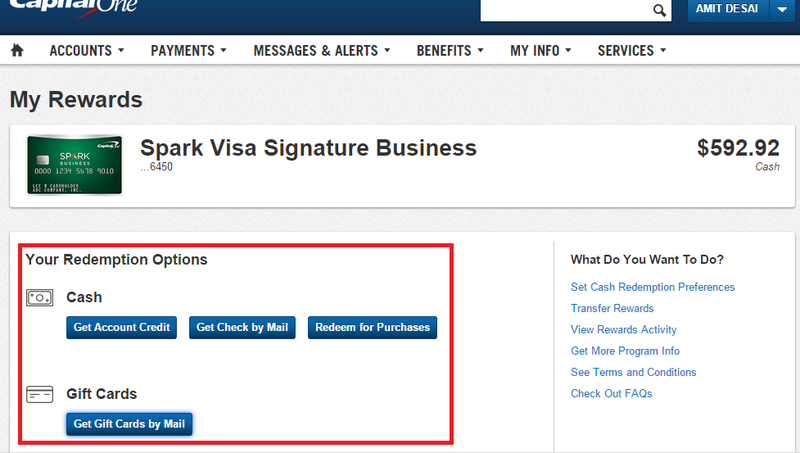 Therefore, if you currently have a Visa, you cannot apply and ask for the Mastercard version. 3. 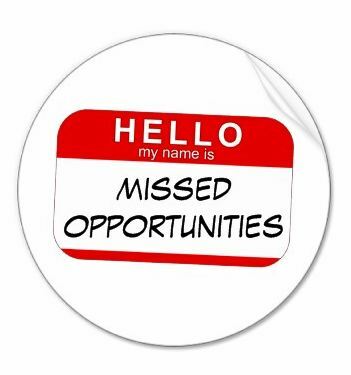 If you cancel your current Freedom and re-apply, you will NOT be eligible for the $200 bonus. Once you cancel, you need to wait 24 months before you’re eligible. This is to prevent churning of cards. 4. If you do not get instant approval, call the backdoor number (you can google it). You can also call/secure message customer service to expedite your card. It will arrive in 1-3 days.